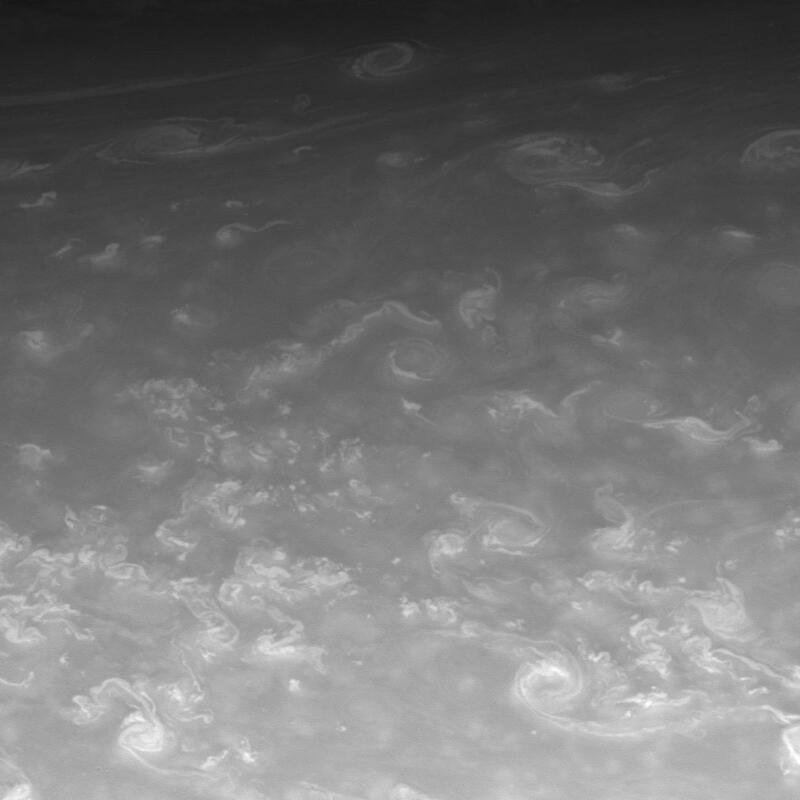 Sinuous clouds and hurricane-sized vortices mingle in Saturn's northern skies. 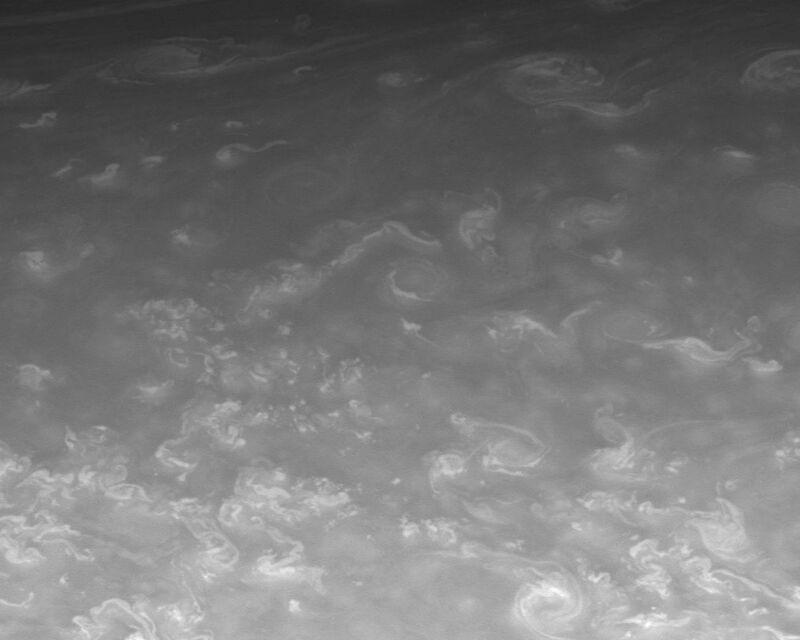 This view looks toward a region located at 70 degrees north latitude on Saturn. Despite the level of detail visible here, the region shown is wide enough to contain the planet Mars comfortably. 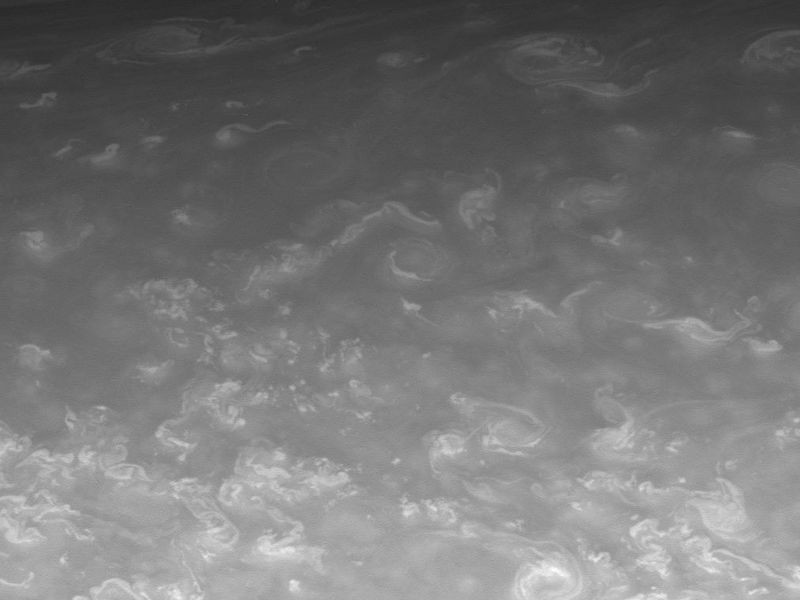 The image was taken with Cassini's CB1 spectral filter, which is sensitive to wavelengths of visible red light centered at 619 nanometers. 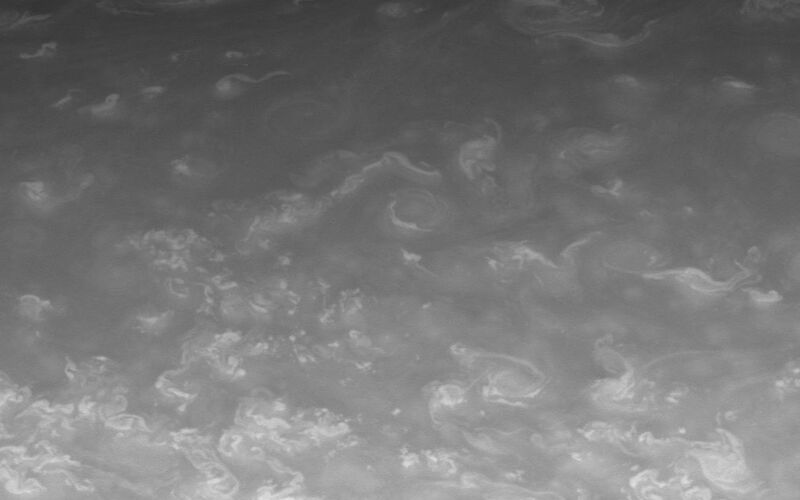 The view was acquired with the spacecraft's narrow-angle camera on May 23, 2008 at a distance of approximately 1.2 million kilometers (775,000 miles) from Saturn. Image scale is 7 kilometers (4 miles) per pixel.